This might be the most eclectic combination of ingredients I've ever seen in a salad. 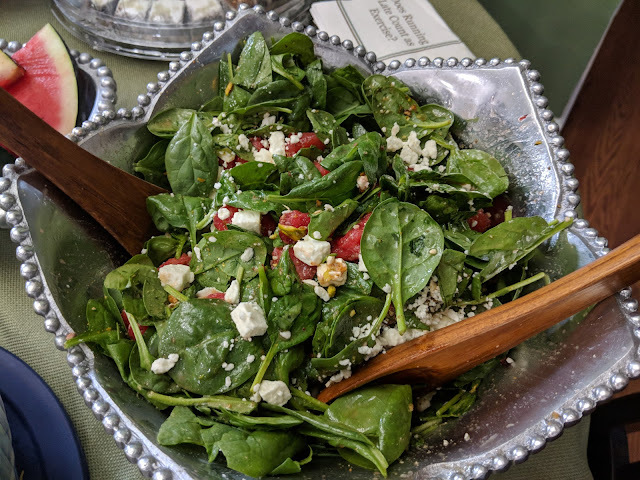 Nothing unusual about spinach, olive oil, red wine vinegar and Dijon mustard, but throw in the odd combination of honey, oregano, feta cheese, pistachios and watermelon and you have an every-direction flavor explosion, and one that really works well together. Another recipe to enjoy now while fresh spinach and watermelon are in season.